A few months ago I got together with a group of ladies to do a group cook night. It was an awesome time and we made some great dishes for the freezer. It definitely makes mealtimes easier and loads faster. 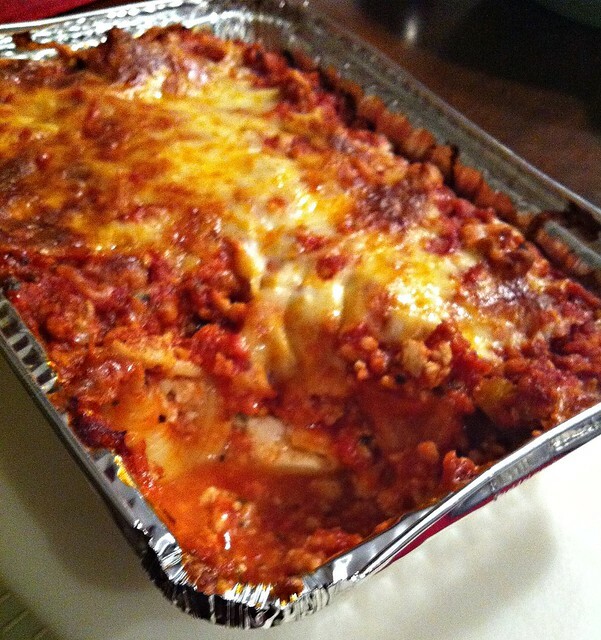 One of the dishes we made were cheese stuffed shells. We froze the shells without any sauce so they are uber flexible. I froze the shells in aluminum foil pans that held about 8 shells each. This is the perfect size for Dewey, Evan and I. Add the sauce of your choice and “Voila!” dinner. Boil pasta shells per package directions. Rinse with cold water and set aside to dry. Mix cottage cheese, mozzarella, parmesan, egg, oregano and pepper in a medium bowl. Stuff each shell with cheese mixture until full. Freeze on cookie sheets and then transfer to a Ziploc bag or freeze in aluminum pans. Thaw prior to use. Bake at 350 degrees for 30 minutes. Recipe Notes: When I cooked these the other night, I browned a pound of ground turkey and added a jar of spaghetti sauce. I poured this mixture over two of my small pans of thawed shells and then topped with mozzarella cheese. I baked it at 400 for 30 minutes. Sounds yummy & easy! I like this as an alternative to buying pre-made meals from Costco. I do that when I an running short on time, but don’t want to get fast food. It would definitely work as an alternative. This is the first time I’ve frozen the pasta separate from the sauce and I like the versatility it gives you. These look great. I want to try and do more freezer meals. Makes things so much easier.